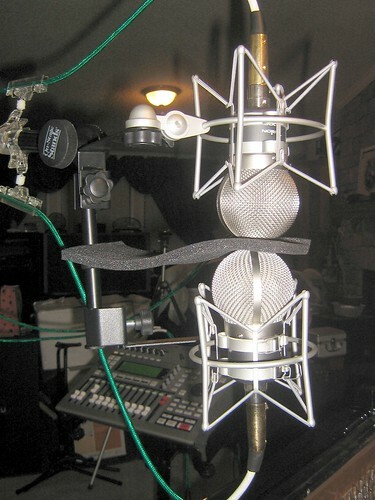 I thought the last highly modified Blumlein mic placement experiment sounded too thin. Time to give the ribbons a try. The photos show the correct placement. The figure of 8 pattern really allows the piano's natural overtones to come through from the room. 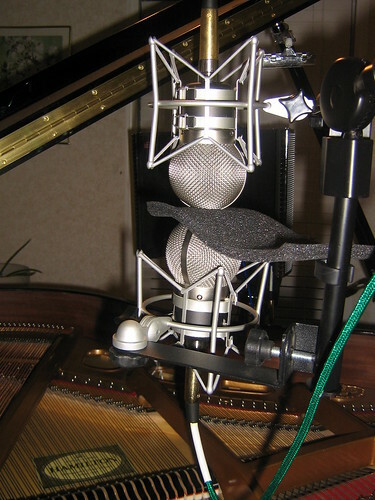 I am sold on these Trion ribbon mics . Notice they are placed in FRONT of my head for the sweet spot this time. Oddly they sounded better in front of my head than above it. I believe it has to do with the lid's full stick position. The foam placement was actually discovered by accident. It originally was folded in half to prevent the two mics from touching. It was too thick folded so I tried it several ways and the photograph shows the best size and result. I don't really know why it sounds better but it does. Seems to have better definition. 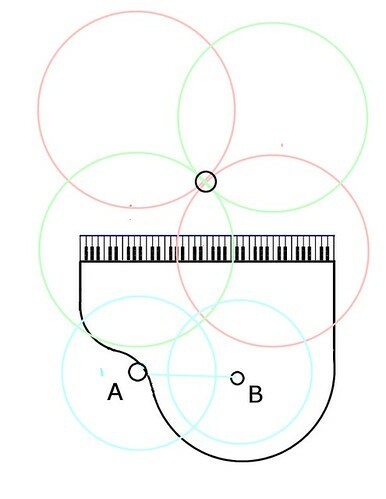 Tomorrow I'll hook up the Kiwi or maybe the NT1 in the back somehwere around positions A and B and play with several patterns (it has 9) and then blend it all together and bust some trax. I'm thinking an omni pattern but if I have phase problems I'll go cardoid. The new song outa get finished around Wed. or Thursday. It's roughed out. I just want this to be the best recording I have ever done so I'm really going back to basics. I paid more attention to overall placement than the mic configuation this time.